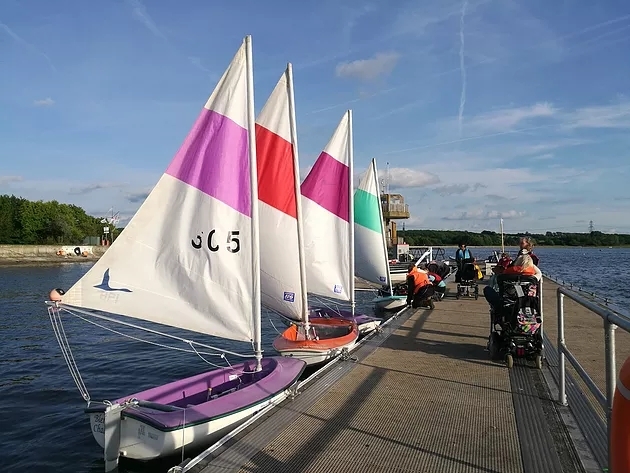 We have an opportunity to take part in safe, accessible small-boat sailing evenings at Farmoor. Oxford Sailability offers sailing in various non-capsizable boats to people of all ages (3 to 93!) and physical challenges. The season is from the middle of April to the middle of October. They sail on Tuesday evenings from 6.00 pm until sunset. They have 3 classes of boats: the Challenger, The Macho Boat (a trimaran) and the Access Dinghy. People sail on their own or with a helper. They can cater for anyone - novices as well as those with different degrees of experience. The first session is free to try and then it's £3 per evening. Season tickets are also available. If you are interested in taking part, please contact our Secretary, Pen Keyte: secretary@oxfordparkinsons.org.uk. You can also contact the Sailing Club directly - see their web page for details.